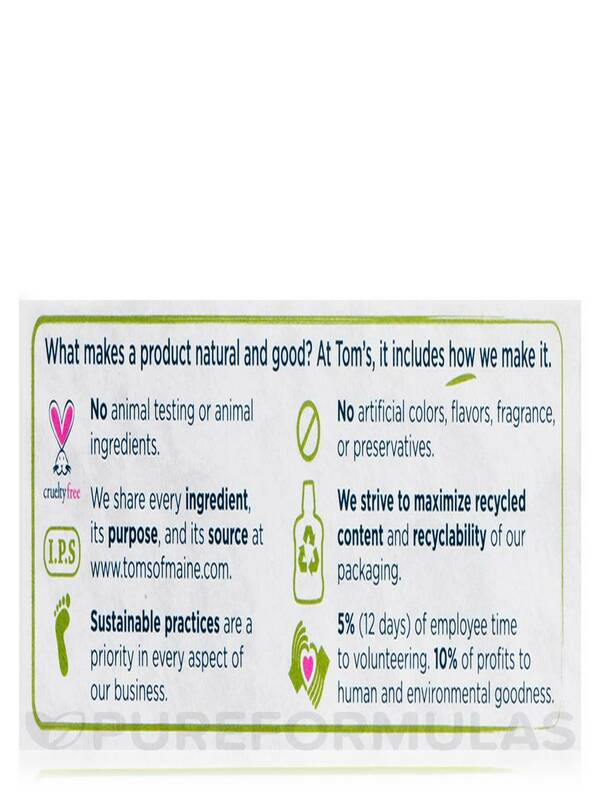 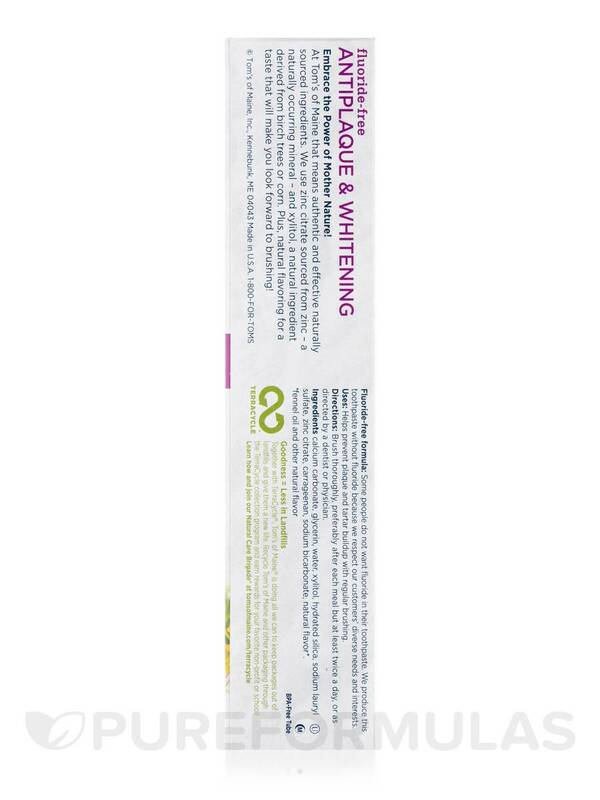 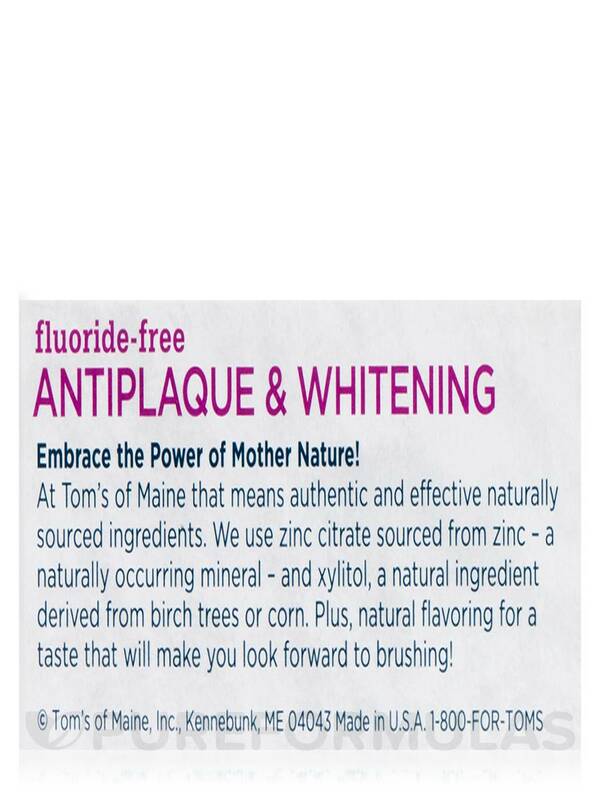 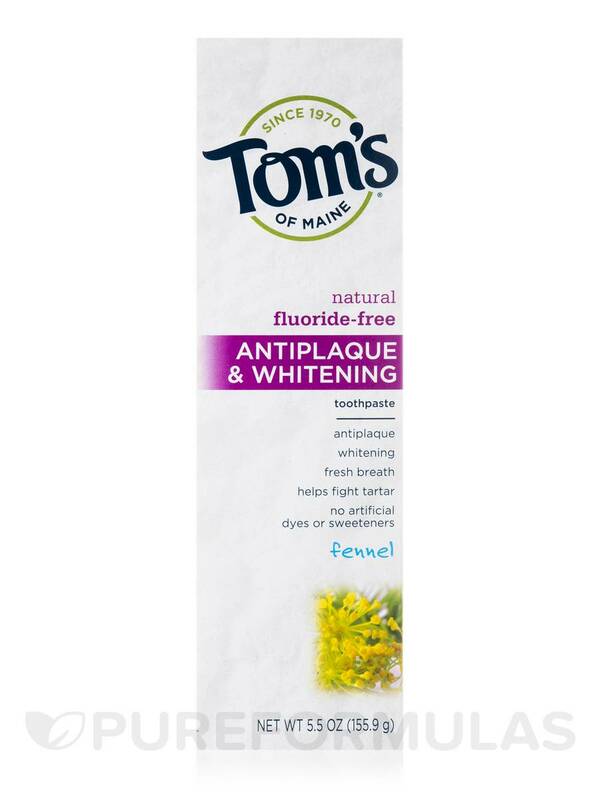 This Fluoride-Free Antiplaque & Whitening Toothpaste by Tom's of Maine has a unique taste which is a long lasting one.It offers good and quality cleaning power.Priced a bit high. 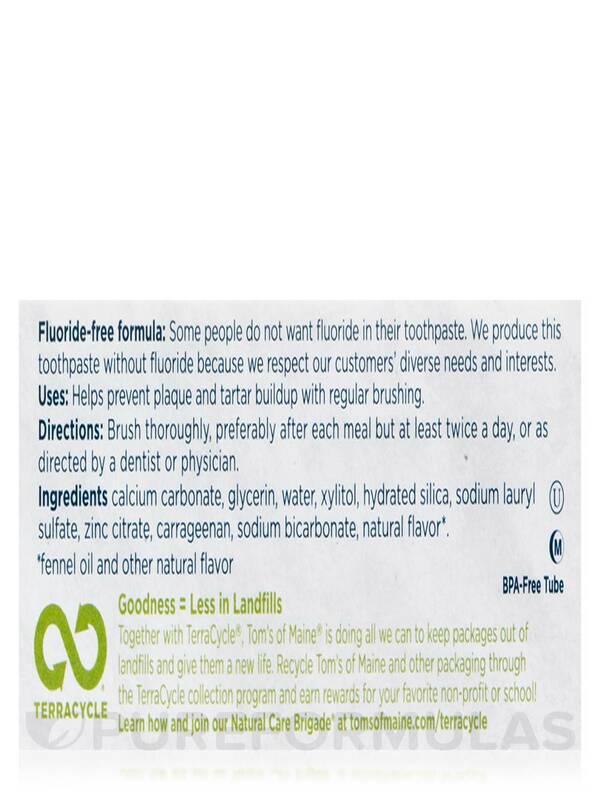 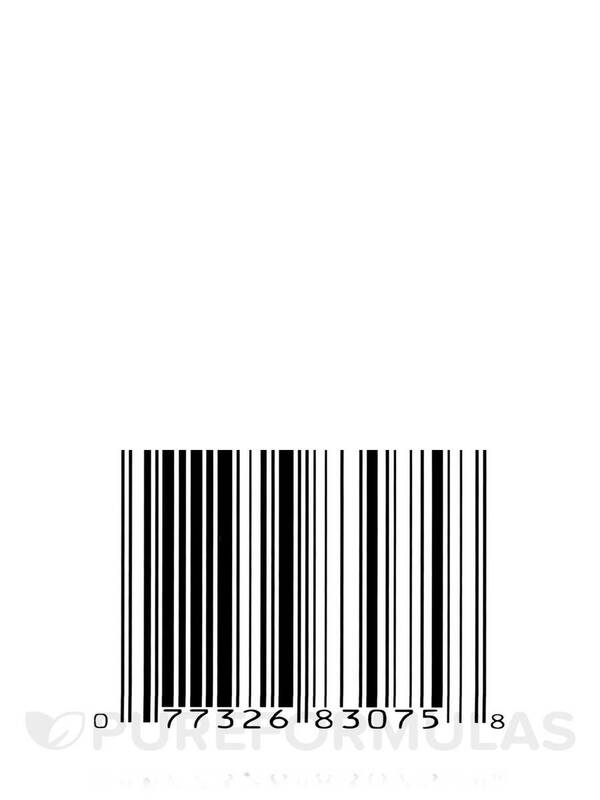 Calcium carbonate‚ glycerin‚ water‚ xylitol‚ hydrated silica‚ sodium lauryl sulfate‚ zinc citrate‚ carrageenan‚ sodium bicarbonate‚ natural flavor*. 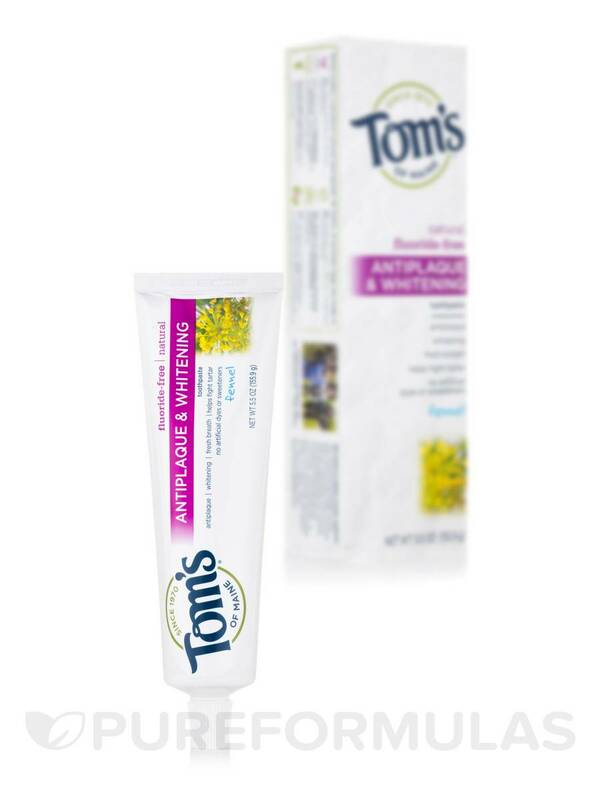 *Fennel oil and other natural flavor. 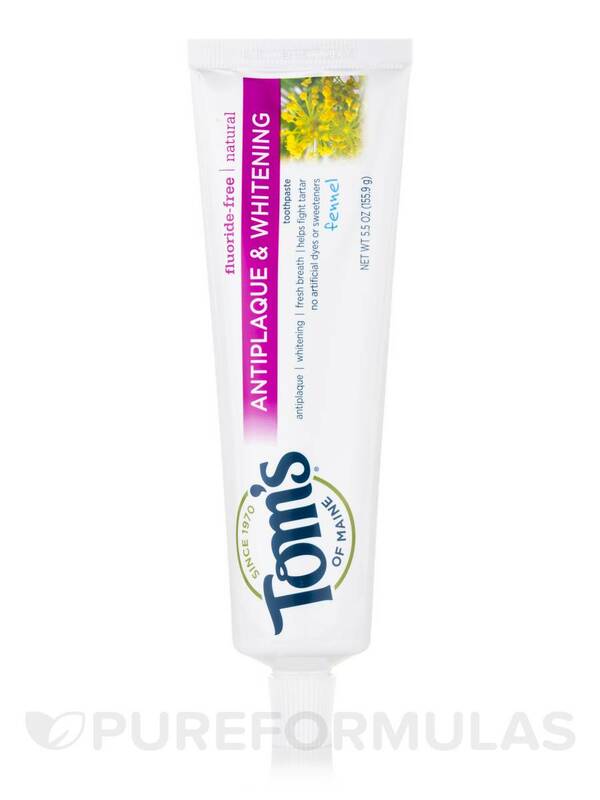 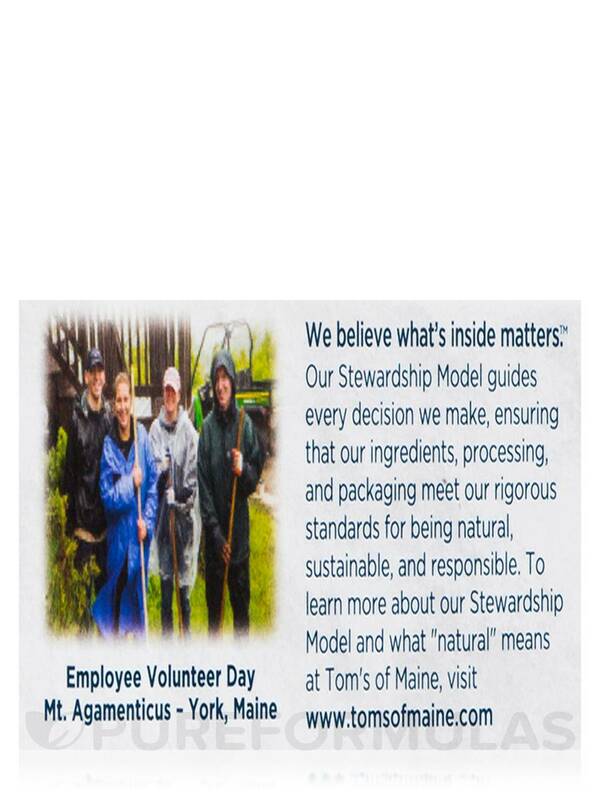 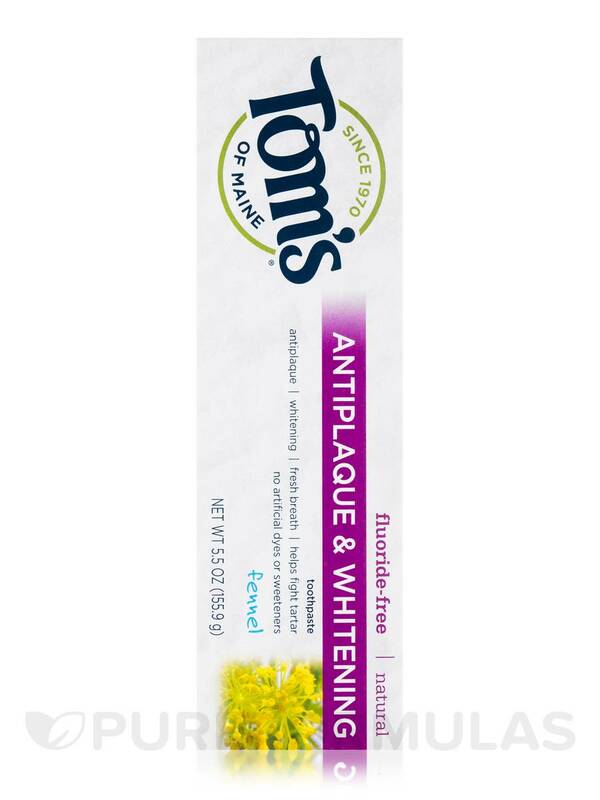 If you like the taste of a subtle licorice flavor Fluoride-Free Antiplaque & Whitening Toothpaste by Tom's of Maine is for you!